In Keystone, CO. Keystone Lodge and Spa. Condition your nails with a sweet feet pedicure and shellac manicure using our chemical free, fast drying Vinylux polish and the original Shellac by Creative Nail Design. We also use a Zents sugar scrub and concentrated shea butter blend to make your skin new again. Condition your muscles with a stone massage or couple’s massage in our Suite Surrender room where you and your fiancé can also enjoy a 20 minute soak in the infinity tub followed by champagne and chocolate truffles. Do a trial run for your hair and makeup and bring ideas and accessories you are thinking of using to give your stylist a chance to learn what your hair does and does not like to do. Your trial is the time to experiment with different looks so that there are no surprises on the day of your wedding and you can cross that off your to do list. Use organic products at home to keep your skin and hair in good condition. I recommend fish oil supplements for glowing hair, skin and nails. Activated charcoal will whiten teeth safely. Kombucha for strong immune system, clear skin, and flat tummy. As our therapist about their recommendations as well. eriments gone wrong right before the big day, but with so many other things to think about, save anything drastic until after. Relax – Trust the experts to do what they do. Put someone in charge of handling your calls for last minute details so that you can really enjoy the moment. Keystone puts on over 100 weddings a summer so let us worry about the details. Instead do something fun with the girls and try mountain top yoga for a memorable experience. On the day of your wedding, wear a button up shirt, wash your hair the day before so it doesn’t get frizzy, and plan your appointments earlier rather than later so that you have time for unexpected occurrences. 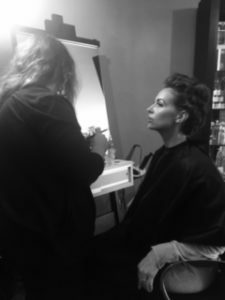 We use professional hair and makeup products that are designed for the runway and photo shoots so it will not move. 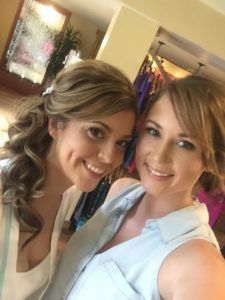 It’s always good to let your hair and makeup settle a little anyway so that your stylists can touch it up right before you leave. Coming from a different climate to the mountains can be a shock to your hair and skin and these preparations will help reduce that shock. I hope these tips help you enjoy the best day of your life!